The year was 2013, and mild-mannered Joe found himself in need of emergency funding. 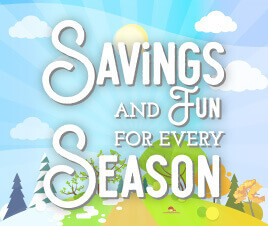 Joe considered a number of online lenders, comparing their rates, terms and reputations, before finally settling on CashNetUSA. After completing the quick online application, Joe was approved and received the cash he needed by the next business day. Joe used the loan to take care of his emergency, and found himself singing the praises of CashNetUSA’s timely and professional funding to whomever would listen. It was then that CashNetUSA.com Man was born. 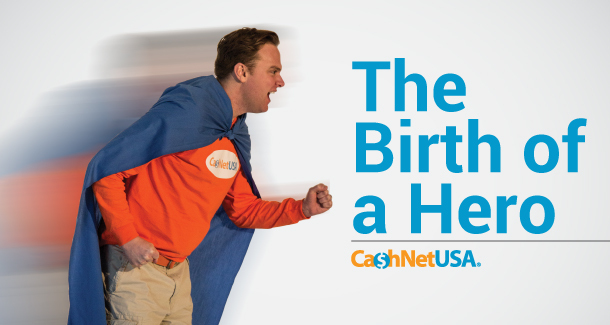 An advocate of good lending and a defender of those in need of emergency funds, CashNetUSA.com Man is our champion! More powerful than a small child! Able to leap small puddles in… a few tries!